These days, what customers say and think define the success of a brand. Despite all the marketing efforts that you’ve been doing to keep your brand within the radar of your customers, a single bad review can turn the tide. BrightLocal’s 2014 survey revealed that 88% of consumers read online reviews. In 2016, the Local Consumer Review Survey mentioned that 84% of people trust online reviews as much as a personal recommendation. If you analyze these studies, you can easily see that more people rely on reviews when choosing a brand. They don’t trust all positive reviews, though, as they are wary of fake reviews circulating online. Brands have a distinct voice. But, the problem is, most brands lose this distinction in an attempt to drive more sales. This leaves confusion among potential consumers. Authenticity is one aspect of reputation management that many businesses are now focusing on. After all, false marketing will get you nowhere. Transparency and honesty are qualities that help brands make a distinction. A big number of brands ignore customer complaints on platforms such as Twitter, and that is a big mistake. These days, negative reviews can mar the experience of potential clients even before they actually do business with you. 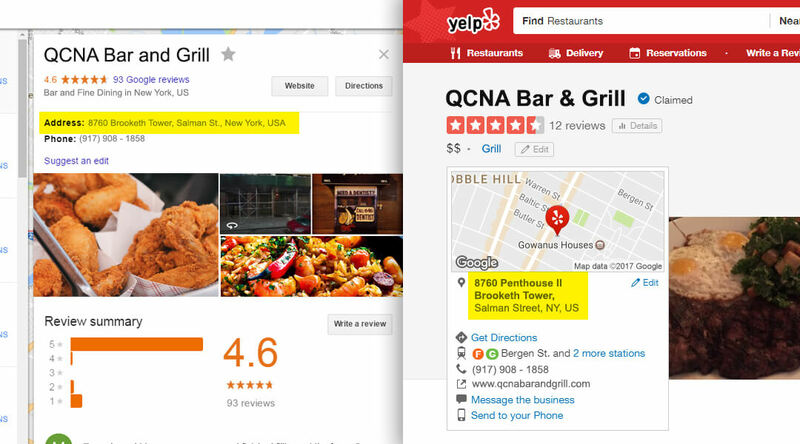 Remember that complaints on trusted review sites, such as Yelp, show up easily on search engine results pages. They may be one of the first things a customer sees about a brand, and that could be enough for them to turn away. Many of today’s businesses spring into action when they encounter a negative review on their listing. Asking them to share the experience and trying to resolve the issue privately help in maintaining relationships with customers. This shows other customers that you took the time to handle the situation, and it gives you a chance to close the issue without encouraging other customers to talk about their negative encounter. From time to time, brands launch a hashtag for their campaign in an attempt to boost engagement. These hashtags, however, can be an avenue for dissatisfied clients to air their opinions. Everyone checking the hashtag can see their grievances. Take Qantas airline’s #QantasLuxury hashtag, or McDonalds’ #McDStories, as an example. Rather than people seeing good memories associated with the brand, they saw tales of food poisoning and delayed flights. When Urban Outfitters was accused of stealing designs from independent artists, their response wasn’t quick enough to stop followers from boycotting the brand. When you’re in a similar situation, it’s important to reply to these tweets instead of ignoring them. A genuine apology can go a long way in keeping your good reputation intact. And then, work on improving your services. These hashtag campaigns are not just a way to brag about your quality services; use them as a way to find areas needing improvement. A brand may receive negative reviews if customers think they don’t care. Suppose a business listing on Yelp showed the wrong landline number. Anyone who’s been calling that number will not get the services they are expecting. If a business is shown on the wrong address on Google Maps, customers will not find them easily, and they might just go to the competition because of it. Consistency and accuracy of information are important factors that help businesses rank on search engine result pages. This is why it’s important to claim your business listings and to use reputation management tools, so that you can update your business information and prevent problems like this. There are many tools available that can help you find potential listings for specific industries and verify information on these online directories. One such tool is SEOReseller’s Reputation Management Dashboard. Not only does this help you claim your listings, it allows your business to get reviews from customers, monitor citations, and control your overall online reputation. With tools like this at your disposal, you have no reason to put reputation management in the back burner. You have an authentic brand. You know how to handle social media accounts. Even if you encounter a couple of bad comments, you should have employees who know how to handle the situation properly. A little humor thrown in the mix wouldn’t hurt, but remain respectful of the situation and of your customer’s problem. One great example is how Greggs quickly turned a PR nightmare into an opportunity by responding to comments in a lighthearted manner when they had a problem with their logo. @JazzyMarketer we’ve been trying since before breakfast!! When you’re assigning an employee to man your social media accounts, let them know that they do not need to send out canned responses just to resolve a situation. Encourage them to be genuine, as long as they are working within the confines of the core values of your company. Reputation management is an important aspect of online marketing. When you’re trying to make a name for yourself, you want to be known for a good reputation, not a negative one. Though there is no guarantee that you will always have stellar ratings, how you handle negative situations says a lot about you.